When a couple is heading toward divorce, it doesn’t only affect them, but it has an impact on family members on both sides. 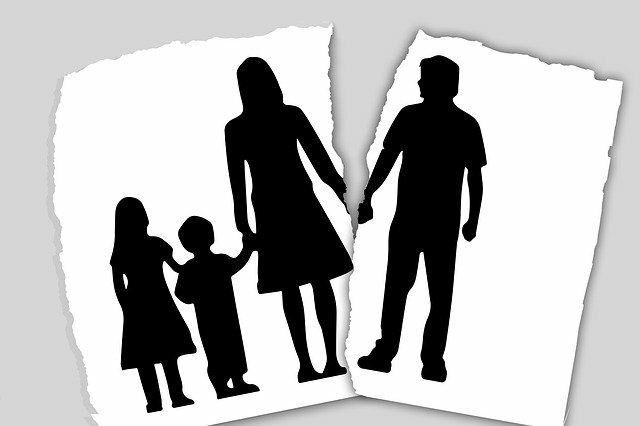 If they have children, then a divorce will affect them more than others, and they may seem angry or sad. If you and your spouse are contemplating divorce, telling your kids can be difficult but it must be done. Use these tips to decide how you will approach the topic of divorce with them. When sitting down with children to tell them about divorce, use age appropriate language and don’t burden them with the reasons behind it. Younger children are not going to understand the reasons behind the decision and their primary concern will be who is going to take care of them. A stable relationship with both parents, if the circumstances make it possible. The reliable presence of both parents in their lives. Minimizing their exposure to conflicts. Even though it could be difficult to do, try not to assign blame for the divorce on the other parent. The goal shouldn’t be to make children decide who is the better parent but to reassure them that both parents will still be in their lives. Also, emphasize that the divorce isn’t their fault. Some kids will assume it was something they did wrong to cause the split, so they may feel guilty. However, both parents should make sure their kids know they are not to blame for the marriage splitting up. It is ideal for both parents to be present for telling children about divorce and for both to reassure them of their safety and security. Plan what to tell them, how to tell them, and don’t make them choose between you. Even though divorces can be very emotional, and spouses can be angry with each other, their goal should be to try to do what’s best for their children. When a spouse is moving out of the home, speak to family law firms, like CLW lawyers, about temporary custody arrangements before the talk. Part of providing a stable foundation is letting children know where they are going to live and that both parents will still be in their lives. A child’s reaction to a divorce may take you by surprise, but if you prepare for them, then they can be better handled. A child’s reaction will depend on their age. Very young children may seem sad but almost unaware of what is happening because they don’t understand the situation. Some young children will be insecure, they may blame themselves, and kids who are older may be angry. By preparing for the conversation, you can address their concerns thoughtfully, and reassure them that everything will be okay. The most important aspect of a divorce may be reassuring your children that they will be taken care of, both parents still love them, and to ensure their safety. The best way to address the situation is by being as honest as possible with your kids. Work together and plan the conservation, so both you and your soon-to-be ex-spouse can prepare your children for the changes in their lives. There isn’t a one-size-fits all sign that indicates it is time to part ways with your spouse, but a combination of signs and factors instead. When you took your marriage vows, you promised to love until death do you part. Sadly, many couples find it impossible to overcome obstacles in their relationship and break those vows. It is better to end an unhappy, irreconcilable marriage now than it is to prolong the inevitable. If you’re reading this, divorce is likely something that’s already crossed your mind a time or two before. Pay attention to these five signs that indicate it is time to move forward in life,perhaps without the person you thought would be there forever. Staying together for the sake of the children may seem like the right thing to do but more often than not, it is actually the worst thing that you can do. Kids sense the energy and tension in a broken marriage, despite the belief of their parents. Plus, staying together for the kids causes you to miss out on life and many great experiences. Abuse comes in many forms. It is unacceptable in any form. Verbal abuse, financial abuse, and sexual abuse are often times just as disheartening as physical abuse for those enduring the pain. Remember, abuse is more than a punch. 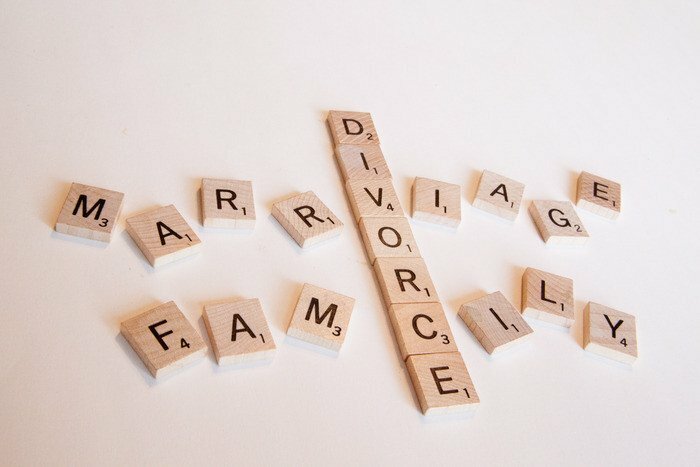 Immediately leave an unsafe situation and speak to an attorney concerning divorce immediately. When you simply do not mingle with your spouse on the same level as you once did, perhaps you should part ways. Don’t allow the small stuff to send you running away from the marriage, however, pay attention to indications that you are no longer one, as you should be during a marriage. Are your values and goals different? Are your hopes, dreams, and views on raising a family or marriage different now? This may be reason enough to get a divorce. When your spouse’s touches no longer have any significance or when you daydream of coming home to a spouseless property, it is likely ideal to part ways. It is not fair for either person to endure the hardships of a relationship that is done and over, but you just haven’t let go of yet. If you want to be alone, that’s your prerogative and you should make the steps to achieve that status. If you’ve tried counseling, therapy, hoping, praying, and even some tears but you still cannot seem to work things out, you should not wait any longer to reach out to a lawyer to discuss divorce. 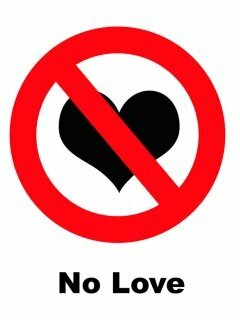 Sometimes love just isn’t enough to make a relationship work. You cannot force what just isn’t there. Marriage is a wonderful thing, and being wed to the person you love is the culmination of all that is great about a relationship. However, even the strongest of marriages can endure problems, and cheating is a big issue in modern relationships. After one spouse has betrayed the other and cheated it might seem like there is no way back. But, if you want there to be, you can repair your marriage – it will take work though. If you feel the relationship is worth salvaging there are options open to you, and you and your partner will have to work on them. It’s essential that you move forward together positively, and try to get the relationship back to what it was before. These are some of the best ways to repair your marriage after your spouse has cheated. The best step to take initially is to enter into some sort of couple therapy. This is crucial for voicing concerns and grievances in a controlled environment, and that’s why you have to do what you can to follow professional guidance. You should both agree to undergo some sort of counseling to help you work on your differences and move forward together as a married couple. This is one of the most important ways of helping get your marriage back on track, hence why you need to look into doing it. You also have to do whatever you can to try to build the trust back as well. After your partner has cheated, this is going to ruin the trust in your marriage. You have to work together to try to rebuild this as much as you possibly can. You’ve already seen the messages, carried out the phone number search, and confronted your partner. They’ve confessed to cheating, and now it’s time for the next stage of the process. Until the trust is rebuilt it is impossible to ever move on or get back to the place you were at before. Don’t forgive unless you are prepared to trust your spouse again. Another thing that can help a lot is ensuring you make more time for one another. So many married couples drift apart because they are always busy and don’t take the time to be together. This is often what can drive one spouse to be unfaithful, so it is important that you work on this as much as possible. 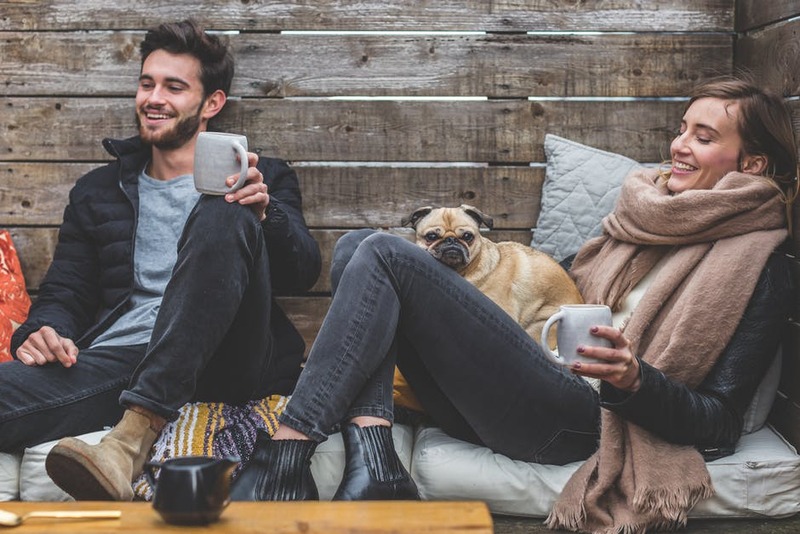 By making more time for one another you can grow as a couple and strengthen your marriage so there is less chance of infidelity happening again. Cheating can be very destructive in a marriage, but it is still possible to save what you have built together. There are so many different avenues married couples can explore if they want to get things back on track. You have to be willing to forgive your partner’s adultery and work together with them in order to help rebuild and strengthen your marriage bonds. Cheating is never pleasant, but there are things you can do to help repair your marriage after the fact. When You’re In Trouble – Who You Gonna Call? ‘In trouble’ can mean so many things but sounds more like a naughty child being told off. Yet in life, there are many situations that will mean that you find yourself in trouble, and a lot of the time it’s through no fault of your own. And in those situations, it’s important to know who to call to make things better. Some are straight forward, but others have answers that you might not think of at first. In many cases, the first point of call would be the police, ambulance or fire service. And you should never worry about calling them. If you think someone is following you, call the police, don’t wait until they are dragging you away to wish that you had. If you are in the wrong, it might seem unnatural, but making a statement with the police can only help you in the long run before things progress. Anytime someone commits a crime against you, be that physical harm, car accident or a breach of contract. The first person you call should be your attorney. If you don’t have a lawyer in speed dial, then look at a firm which deals with a few different types of law, and has a high win-count. 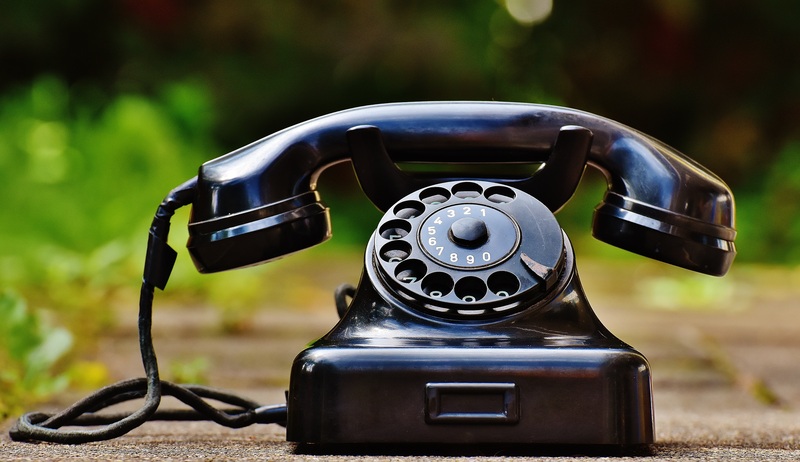 Your next call should be to any insurance you have that covers the damage – health insurance, car insurance, house insurance. If it is a work related incident then also call your HR manager for advice on how to proceed. If you have committed or been accused of committing a criminal offence of any kind, then you need a criminal defense attorney. Make sure that they have a good reputation, and look into whether your insurance will cover part of the fees. If you can’t afford a lawyer, then there are many no-win no-fee lawyers, and failing that a court will appoint one for you. It goes without saying that divorce is horrible for everyone, and it can be incredibly messy. You need a divorce lawyer even if your break is civil and amiable, to unravel the legal binding of your wedding. If things are more complicated, with property, assets and children involved, then you’re going to be more than grateful for having a good lawyer. If children are involved, then a family lawyer might be the better option. Any financial issues you have can always be helped by a financial attorney. An expert will be able to look at whatever issue you are having and be able to fix it. If it’s something like debt, then a debt management charity will be able to give you educated and helpful advice. The government offers free advice for small financial troubles, mostly household and new businesses, anything bigger than that you will want to consult an attorney. Divorce is never easy for both parents and children. Everyone in the family feels an immense sense of anxiety and loss. The family who falls under the affliction of divorce will no longer be the same. Parents need to settle their own emotions, particularly the occurring guilt they feel towards their children. While you cannot take away your child’s pain, you can help them deal with the various disappointments that a separation brings. Here are the things you can do. How To Break the News? Have a sincere conversation with your children together with your spouse. Then explain that you two are getting a divorce. Don’t try to sugarcoat, speak honestly but don’t include the ugly details. Confess that the experience will be sad. See to it that your child understands that a divorce is only between the two of you. And repeatedly remind your child that he or she is not the reason for the divorce and that both of your love for him or her didn’t change. It’s normal for children to show interests in concrete things such as “Do I need to change schools?”, “ Where will I live?” or “Who’s going to take me to my extra-curricular lessons?” You need to maintain your child’s routine as much as possible while working out the terms of the divorce. Your child feels secure when he or she knows what to expect. Toddlers. A child at this age might respond by becoming clingy, irritable or waking up at night. Preschoolers. A child in this age needs extra help in comprehending that he or she is not the root of the divorce. He or she also needs aid in understanding that there’s nothing he or she can do to bring you and your ex-spouse together. Elementary schoolers. Children in this age bracket are more likely to express anger. They fantasize about you getting back together, might worry about what will happen to you and your spouse and look for someone to blame including themselves. Teenagers and adults. An older child is more likely to feel depressed or worried that he or she will also fall in the same situation someday. Teens might consider risky behavior and question their beliefs. The situations above are just the common possibilities for a child’s reaction. Hence, it’s vital to encourage your child to open up his or her feelings about the divorce. According to M. Gary Neuman, author of Helping Your Kids Cope With Divorce the Sandcastles Way and creator of the Sandcastles Divorce Therapy Program, children assume that they are somehow to blame when a parent regularly doesn’t come through. If only they behaved more or do better in school, then surely their parents will stay together and be with them. As a result, their confidence hurdles. Thus, you need to reassure your child that your ex-spouse’s commitment issues have nothing to do with his or her lovability. 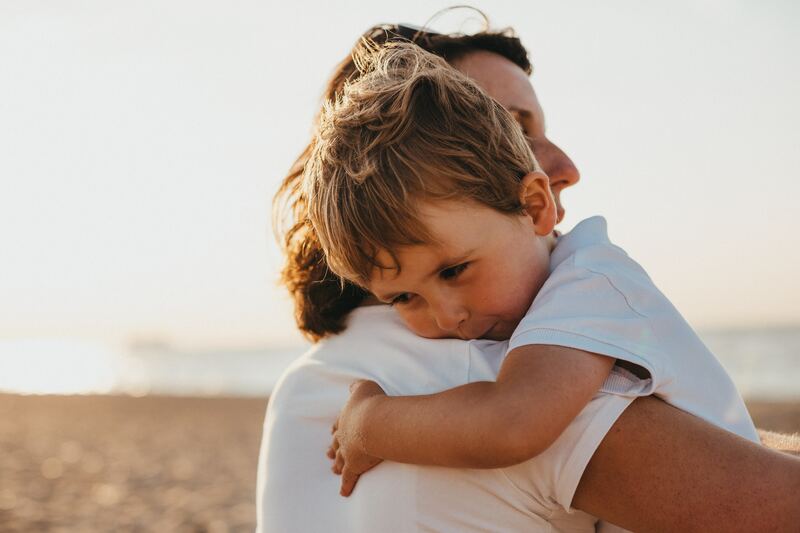 It could be tempting to take a break from your parental duties while your child is mourning over the divorce, but it will only generate more insecurity. Children thrive on structure, routine and consistency even if they insist on testing limits and boundaries. If your child divides time between two households, try to retain the same rules in two homes. 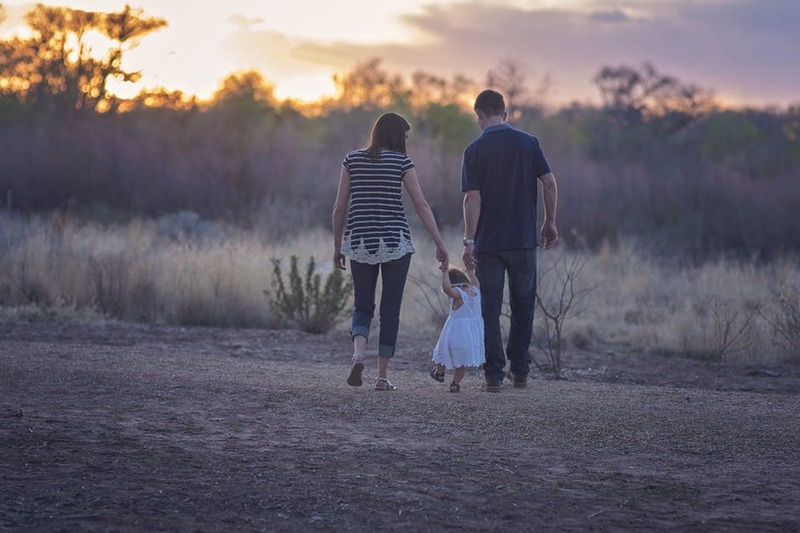 You can consider using the services of a family or divorce mediator if you and your spouse need help in reaching decisions about your child before, during or after the divorce. Most local and international divorce attorney would recommend you of doing so because your kids could also benefit from counseling especially if he or she is showing signs of anxiety and distress. Divorce is always a hard blow for everyone, however, if both parents continue to build a calm and stable environment for their children and make them feel loved, children will survive the situation in good shape. And they will be calmer as they gradually accept everything. According to court documents, Brad Pitt is seeking joint custody of his six children in his split from Angelina Jolie. The move comes after Angelina Jolie asked for full physical custody of all the children, who are aged 8 to 15. Angelina Jolie cited “irreconcilable differences” when she filed to end the marriage on September 19. Reports suggest that Brad Pitt is being investigated over an incident with his eldest son Maddox on a plane. According to media, a child welfare agency in LA is examining what happened during the incident on a private flight in mid-September. Angelina Jolie and Brad Pitt have reached a temporary agreement so the actor can visit his children while the welfare investigation continues. California divorce courts generally favor joint custody, but the outcome of the plane row could affect the judge’s decision. Angelina Jolie and Brad Pitt may also hammer out a deal privately to avoid the matter being aired in public. Brad Pitt’s custody request was included in his response to Angelina Jolie’s divorce petition. He revealed that they separated on September 15, one day after the alleged plane altercation. The stars have been together since 2004 but only wed in August 2014, at their children’s urging. They grew close while filming the 2005 Mr. & Mrs. Smith, in which they played a couple in a stagnant relationship. It was Brad Pitt’s second marriage, after a divorce from Jennifer Aniston, and Angelina Jolie’s third after Billy Bob Thornton and Jonny Lee Miller. Brad Pitt, 52, and Angelina Jolie, 41, have six children together – Maddox, Pax, and Zahara, who are adopted, and biological children Shiloh and twins Knox and Vivienne. They married privately at their French estate in Provence. Their children served as ring bearers and helped illustrate Angelina Jolie’s white Versace dress with their drawings. All relationships work around contracts whether written or verbal whether they in marriage, business or even as simple as errands. All agreements are made mutually which means that both partners come with a moral obligation to fulfill the agreement. 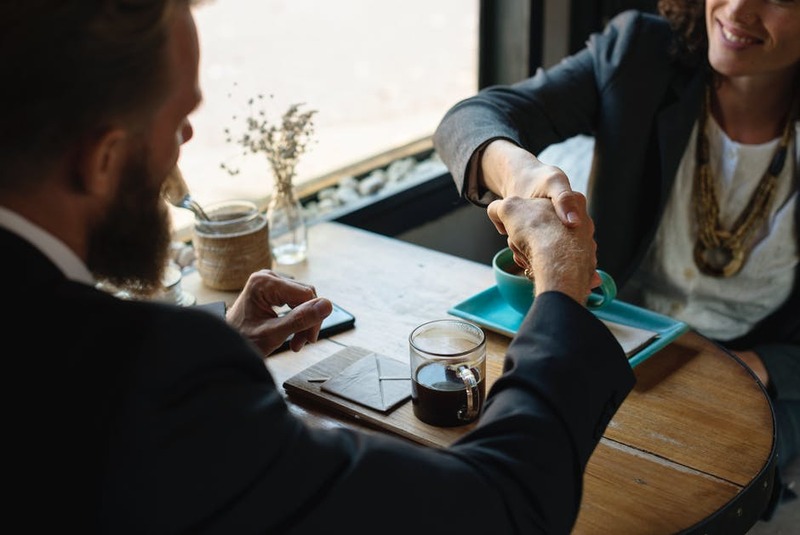 It, however, comes a time when partners agree mutually to discharge one another form an agreement which is known as the rescission of contract. There are a number of situations that may call for the termination of a contract for both partners and this simply means that the partners will no longer have to work within the stipulations of the contract unless a new one is written. It is important to understand that the rescission of contract is not always done mutually before the signing due to impending factors. One partner can seek the termination of a contract as long as the grounds are within the stipulations of the present contract. The reasons may vary right from a simple announcement due to the change of interests or fraud from one of the partners amounting to . It is at this point that these agreements get really complicated needing the intervention of a master lawyer to help through. A lawyer may come in on either side to help the partners get redress in the issue. A partner that feels that the colleague has breached the contract can use these grounds to get out of an agreement and in the process sue for damages. The other partner can also sue for damages if the case is proven otherwise working against the initial complainer. A lawyer may also come in handy if one partner simply feels the urge to move on to other matter and wants to be freed from the contract. The remaining partner can also sue for damages keeping the distressed partner within the legal rights of the agreement. There are many factors affecting this kind of case ranging from the time taken to act on the case from either partner to the intentions of both partners. These cases are often settled out of court by most partners in a mutual agreement signed and enforced by the lawyers or after one pays off the damages to the other compensating them for leaving before the stipulated time or out of the limits of the contract. A good lawyer will access the situation and help both partners reach a mutual agreement for the benefit of both by the end of the day. Divorce is a financial and emotional nightmare. However, when international laws are applied, things tend to get even more complicated for foreign nationals and expatriates. Prenuptial and postnuptial agreements play a key role in divorce proceedings. Devised with divorce in mind, these reviews are especially important abroad. It’s the agreement itself that’s very likely to dictate the exact court that is to be in charge of divorce proceedings and that can hugely simplify the process. However, the level of significance of the agreement varies depending on the country. While in some countries, the prenuptial and postnuptial agreements carry great weight in determining which court will be responsible for divorce proceedings, others are more reliant on other factors. A prime example of the upsides of being a part of the European Union, the set of rules that apply to divorce proceedings jurisdiction has made things simple for the EU member states, when it comes to divorce proceedings. Complications arise, however, if the couple that is filing for divorce is living outside the boundaries of the EU and/or are foreign country nationals. In these cases, it’s possible that more than one court is eligible to oversee the case. This depends on the regular place of residence and/or other relation to a country. The actual problem here arises due to the fact that some countries have different laws and regulations. On another hand, there is a possibility for a party to try and push for the divorce location which will get them a better settlement. Location and the number of children are important factors in determining both the proceedings’ location and the settlement itself. This is further dependent on the location where the majority of couple’s mutual assets are located and the asset liquidity plays a vital role here. The proceedings abroad tend to get complicated even further, once the matter of children is introduced into the equation. Divorce is an extremely emotional experiences and, when it comes to their children, parents tend to get overprotective and, without thinking clearly, step out of boundaries of law. The most common issue here is where a parent takes their child or children to the parent’s own home country. This impulsive act can easily turn into a serious criminal offence, bringing along serious allegations such as child abduction, regardless of whether or not a child was willing to be taken by a parent in question. While Canada is a good example of the ‘equal rights marriage policy’ which the country’s law fully abides by, most countries’ laws state that children are obligated to live with their mother, up to a certain age, which is why the proceedings tend to go smoother, as long as both of the parties agree on important issues (financial or child custody and support-related). An uncontested divorce in Oregon, for example, is far easier to achieve if both parents agree on the modification of the Child Support Review Process (CSRP). This will likely make the entire proceedings go smoother, as well as quicker. The reasons to come to an agreement outside of the court, when it comes to divorce, are sometimes heavily related to the harshness of laws in certain states. When you file divorce in California, for example, the wage withholding court order is put into force. It makes the employee of the parent, who doesn’t have the physical custody of the child, responsible for taking the child support out of the employee’s paycheck. This tends to cause further complications, especially in cases where courts of different countries or states are involved. A well thought-out plan should account for any arrangements for the ‘non-resident’ parent to remain in contact with their children. Divorce tends to be even more difficult when foreign nationals and expatriates are involved, than it is in regular cases. Naturally, seeking proper legal advice is always a good way to go, especially when a variety of specific and international laws are applied. Mutual agreement is the best way to handle a divorce abroad. Halle Berry has announced that she and Olivier Martinez are to divorce. The actress filed a divorce petition under a pseudonym while the French actor filed his own petition, with both citing irreconcilable differences. Halle Berry and Olivier Matinez – who have a 2-year-old son together – released a joint statement announcing the divorce on October 27. “We move forward with love and respect for one another and the shared focus of what is best for our son,” they said. Halle Berry was previously married to baseball player David Justice and soul singer Eric Benet. Vatican is going to make it easier for Roman Catholics to get annulments and remarry within the Church, Pope Francis’ new reforms have revealed. The Catholic Church does not recognize divorce, teaching that marriage is forever. 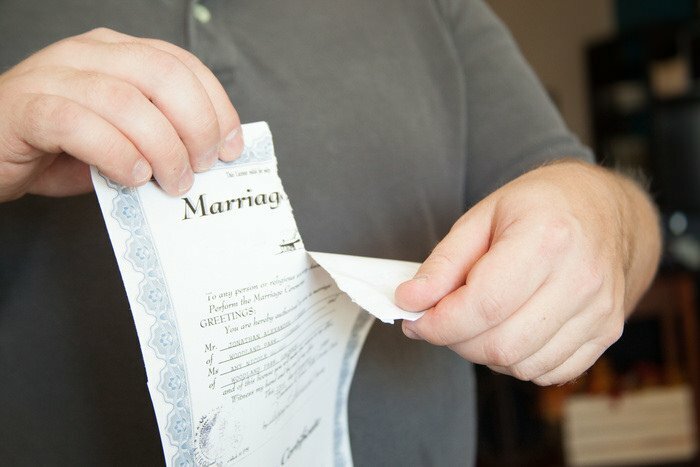 In order to separate, Catholics must have their marriage annulled by showing it was flawed from the outset. The radical reforms allow access to procedures free of charge and fast-track decisions, as well as removing automatic appeals. Until now the procedures have been seen as arcane, expensive and bureaucratic. Catholics seeking an annulment previously needed approval from two Church tribunals. The reforms will reduce this to one, although appeals will still be allowed. The new fast-track procedure will allow bishops to grant annulments directly if both spouses request it. Because annulment procedures are complicated, couples normally require experts to guide them through, meaning that gaining one can be expensive. Without an annulment, Catholics who divorce and marry again are considered adulterers and are not allowed to receive communion. In 2014, Pope Francis set up a commission of church lawyers and clerical experts to look at how to streamline the procedure. 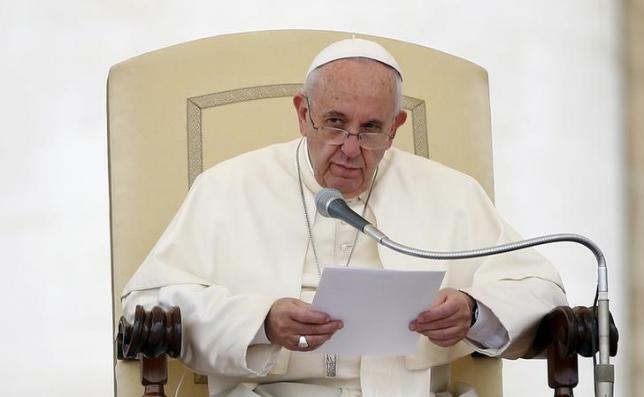 Writing about the changes, Pope Francis said it was unfair that spouses should be “long oppressed by darkness of doubt” over whether their marriages could be annulled. Khloe Kardashian and Lamar Odom “are not romantic and are not talking reconciliation, but they don’t want to close the door on the marriage either,” TMZ reported, adding that that’s why the former couple’s divorce case still remains unresolved for more than a year. It’s believed that if neither side acts quickly, a judge will throw out the divorce case. The website claims that Khloe Kardashian “still has feelings for [Lamar Odom]” and wants him to make a “grand gesture,” which he apparently isn’t willing to do. It was also reported that Khloe Kardashian simply doesn’t want to hurt Lamar Odom by sealing the deal on the divorce. 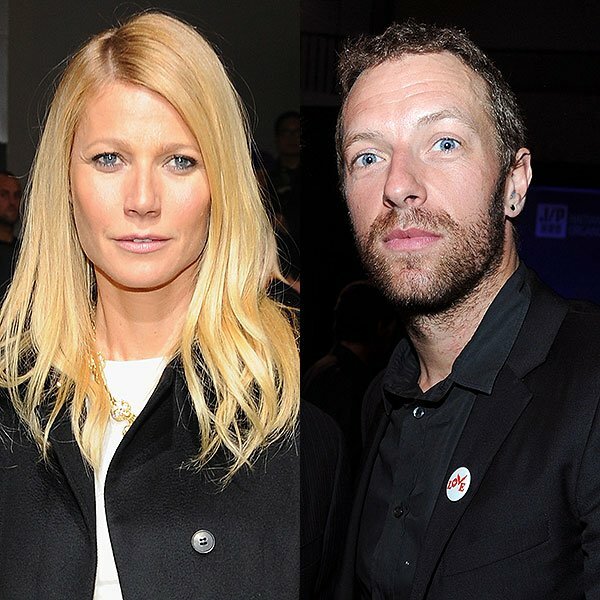 Gwyneth Paltrow and her estranged husband, Coldplay frontman Chris Martin, have filed for divorce. The actress cited irreconcilable differences in the documents, which were filed in Los Angeles on April 20 after 11 years of marriage. The divorce documents request joint custody of their two children, Apple and Moses. Gwyneth Paltrow, 42, and Chris Martin, 38, announced their separation in March 2014, describing it as a “conscious uncoupling”. Her lifestyle blog Goop.com crashed after the couple posted a joint statement about their decision. Gwyneth Paltrow and Chris Martin said they had “come to the conclusion that while we love each other very much, we will remain separate”. The couple said they had been “working hard for well over a year, some of it together, some of it separated, to see what might have been possible between us”. “We are, however, and always will be a family, and in many ways we are closer than we have ever been,” their statement said. “We are parents first and foremost, to two incredibly wonderful children and we ask for their and our space and privacy to be respected at this difficult time. Their divorce’s confirmation comes after days of speculation the actress had filed the papers. The documents do not list any details about how Gwyneth Paltrow and Chris Martin will divide their assets, but asks that both sides pay their own lawyers’ fees. Gwyneth Paltrow and Chris Martin married in secret ceremony in December 2003, days after they announced Paltrow was pregnant with their first child. 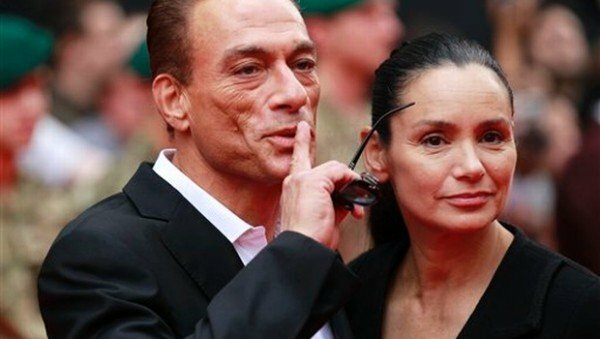 Jean-Claude Van Damme’s estranged wife Gladys Portugues has filed for divorce for the second time, after the couple separated on March 15. The professional bodybuilder filed official papers in Los Angeles on March 18, citing irreconcilable differences. The union was the couple’s second attempt at making their marriage work. Jean-Claude Van Damme and Gladys Portugues were previously married for five years until 1992, but divorced after the Belgian martial arts star had an affair. Jean-Claude Van Damme and Gladys Portugues rekindled their romance in 1999 and have two children together. Rosie O’Donnell filed for divorce from Michelle Rounds on February 27, three weeks after confirming their separation. The 52-year-old comedian cited an “irretrievably broken relationship” in her court papers, which were filed in New York’s State Supreme Court. The document states that Rosie O’Donnell and Michelle Rounds have a prenuptial agreement. Rosie O’Donnell and Michelle Rounds wed secretly at her Nyack, New York home in June 2012, shortly after Rounds was diagnosed with a desmoid tumor for which she immediately required surgery. There’s no word yet whether they asked for a joint or sole custody agreement for their two-year-old daughter Dakota, who was adopted in January 2013. Currently, the two share custody of the little girl. Rosie O’Donnell separated from Michelle Rounds not long before she also quit The View. A Turkish husband has been fined for saying “I don’t love you” to his wife, the Daily Sabah website reports. According to the website, the spouses, who are divorcing, both sought compensation from each other over insults apparently hurled during their marriage. A lower court had ruled they were both as bad as one another, but the Supreme Court of Appeal said the man’s remark about not loving his wife amounted to “emotional violence”, and ordered him to pay her compensation. The woman said her husband’s comment had left her “emotionally wrecked”, and that he had often left the marital home. For his part, the man said his wife had repeatedly “cursed” him. Turkey has been trying to crack down on all forms of violence against women, but the publication points out that emotional and psychological abuse can be difficult to prove. A 2014 survey of university-educated women working in white-collar jobs found that 40% of respondents had experienced that type of abuse at least once, the Hurriyet Daily News reported in December. Patrick Dempsey’s wife, Jillian Fink, filed for divorce after 15 years of marriage, ETonline reported. Patrick Dempsey, 49, and Jillian Fink are the parents of three children, 12-year-old Tallulah and 7-year-old twins Sullivan and Darby. The couple said in a statement: “It is with careful consideration and mutual respect that we have decided to end our marriage. The Grey’s Anatomy star was reportedly in Daytona Beach, Florida, for a racing event at the time of his wife’s divorce filing. Patrick Dempsey is one of the highest-paid actors in TV, making a reported $16 million in 2014 from his Grey’s Anatomy stint and endorsement deals. 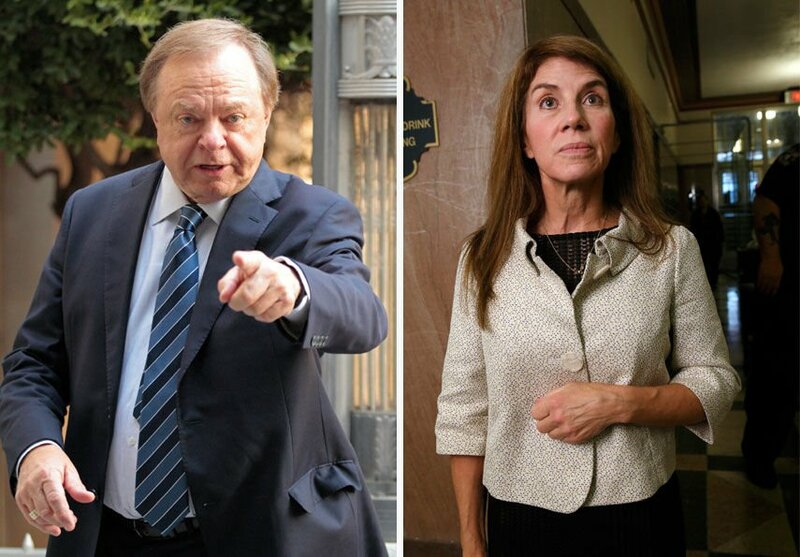 The ex-wife of Continental Resources CEO Harold Hamm, Sue Ann Hamm, who was awarded cash and assets worth more than $1 billion in the couple’s divorce this week, plans to appeal the judgment on grounds that it grossly undervalues the marital wealth she is entitled to. Feeling shortchanged by a ruling that allows Harold Hamm to keep around 94% of the estimated $18 billion rise in his Continental shares during a 26-year marriage, Sue Ann Hamm will appeal within a few weeks, one of her lawyers, Ron Barber, told Reuters on November 13. Sue Ann Hamm believes the decision was “not equitable”, Ron Barber said. On November 10, Oklahoma County Court Judge Howard Haralson ordered Harold Hamm, who is believed to own more oil than any other American, to pay his ex-wife $995 million. The ruling allows Sue Ann Hamm to keep additional assets, including a California ranch and an Oklahoma home, worth tens of millions more. The Hamm v. Hamm divorce judgment is one of the largest in U.S. history, but Sue Ann Hamm’s award is a small fraction of the wealth Judge Howard Haralson allowed Harold Hamm to keep. Harold Hamm holds more than 68%of Continental’s stock, a stake valued at around $13.5 billion today. It was worth more than $18 billion before the 9 1/2-week divorce trial began in August. Continental shares have fallen sharply since then, in line with global oil prices. Judge Howard Haralson ruled that $1.4 billion of the growth in his Continental shares during the marriage was “marital capital” to be split with Sue Ann Hamm. The rest was awarded to Harold Hamm as “separate property”. A lawyer and economist, Sue Ann Hamm worked at Continental during stretches of the couple’s marriage, which began in 1988. At one point, the ruling says, she was an executive in charge of Continental’s crude marketing division. She left the company in 2008. At other times she worked in the home, helping to raise the couple’s two children. In Oklahoma, a divorce appeal can be heard by a State Court of Appeals panel or the Oklahoma Supreme Court. A higher court could review the case and affirm Judge Howard Haralson’s judgment, or modify the award. It could also send the case back to Judge Howard Haralson to be re-tried. Family law experts say the process could take anywhere from 18 months to several years. Sue Ann Hamm has 30 days from when the ruling was filed, on November 10, to appeal it. As part of the ruling, Judge Howard Haralson ordered Harold Hamm to pay his ex-wife more than $322 million by December 31, and continue with monthly payments of at least $7 million until he covers an additional $650 million balance. She has received around $23 million from the marital estate since filing for divorce in 2012. To secure the judgment, Judge Howard Haralson placed a lien on 20 million shares of the CEO’s Continental stock. Whether an appeal would alter the payment schedule remains unclear. Harold Hamm’s attorney, Craig Box, said the CEO considers Judge Howard Haralson’s ruling to be “fair and equitable.” Hamm declined to comment on the prospect on an appeal. Following the news, shares of Continental extended earlier losses. They fell 3.1% on the day as US oil prices sank below $80 per barrel for the first time in four years. The Hamms had no prenuptial agreement. During their marriage, Continental’s value soared by around 400-fold, and Harold Hamm, the 13th child of sharecroppers, became Oklahoma’s richest person. Harold Hamm, now 68, founded Continental in 1967, more than two decades before he married Sue Ann. 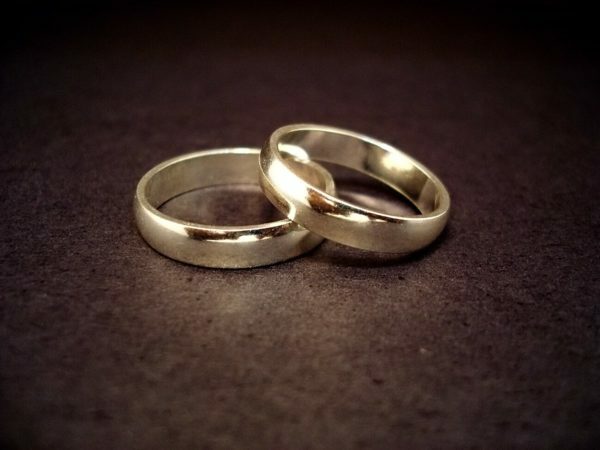 But Oklahoma law typically requires that the enhanced value of premarital property be split “equitably” in a divorce if it resulted from the efforts or skills of either spouse during marriage. Amber Rose filed for divorce from Wiz Khalifa after just 14 months of marriage, TMZ reported. Reportedly citing irreconcilable differences, Amber Rose, 30, is looking to gain full custody of the couple’s son Sebastian, whom they welcomed in February 2013. The gossip website alleges that the breakup is a bitter one, and infidelity may be involved. Wiz Khalifa, 27, proposed to Amber Rose in March 2012, after more than a year of dating. The model dated a pre-Kim Kardashian Kanye West from 2008 to 2010. Kris Jenner filed for divorce from Bruce Jenner on September 22 in LA, citing irreconcilable differences. The Keeping Up With the Kardashians matriarch is now ending her 22-year year marriage to the Olympic gold medalist. Kris and Bruce Jenner’s relationship have been featured prominently on the reality show that focuses heavily on Kris Jenner’s daughters from a previous marriage, Kourtney, Kim and Khloe Kardashian. Kris Jenner’s filing seeks joint custody of the couple’s only minor child, 17-year-old Kylie Jenner. The couple did not have a prenup. They will also have to split their properties. Neither Kris nor Bruce Jenner want to pay each other spousal support. Bruce Jenner won the gold medal for men’s decathlon in the 1976 Olympics. Kris and Bruce Jenner were married in April 1991 and according to court filings separated on June 1, 2013. In a recent interview, actress Tea Leoni said she and her ex-husband, David Duchovny, have remained on friendly terms after finalizing their divorce last month as they co-parent their children. “David gave me the two greatest gifts on the planet,” Tea Leoni, 48, told Parade magazine of the couple’s daughter Madelaine, 15, and son Kyd, 12. After a rocky few years and at least one of reconciliation, Tea Leoni and David Duchovny, 54, divorced this past August after 17 years as husband and wife. In 2008, David Duchovny infamously checked himself into rehab for s** addiction. He and Tea Leoni separated in 2011. “I’m not playing stupid,” Tea Leoni continued to Parade magazine. Tea Leoni and David Duchovny share custody of their children. The actress told Parade that Madelaine and Kyd spent “most of the summer” with their dad. “It’s fun to spend time as this unit that we still are, and it’s easy to communicate about them,” she added. “We’ll always be connected and there for each other,” the actor told Parade. 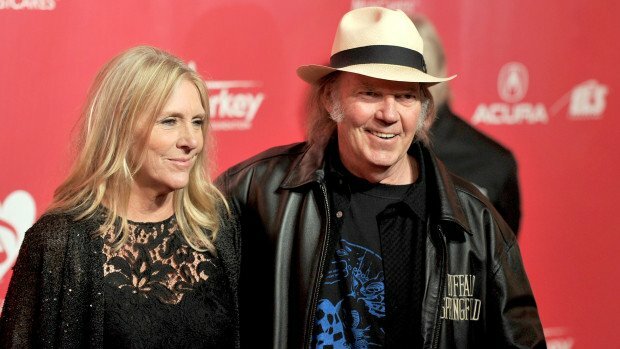 Neil Young has filed for divorce to end his 36-year marriage to wife Pegi. Neil Young, 68, filed divorce papers in California at the end of last month and a hearing is scheduled for December 12. Pegi Morton Young, 61, who has often performed with her husband, last took the stage with Neil Young at last year’s Bridge School Benefit concert, which she co-founded with her husband in the mid-1980s. Neil Young met Pegi when she was working as a waitress at a diner near his California ranch. Inspired by Neil Young, Pegi has also enjoyed musical success, releasing three solo albums since 2007, and she also served as the singer/songwriter’s muse for his tracks like Such a Woman and Unknown Legend. Elizabeth Vargas and Marc Cohn have decided to divorce after 12 years of marriage. 20/20 anchor Elizabeth Vargas, 51, and singer-songwriter Marc Cohn, 55, share two sons together: Zachary, 11, and Samuel, 8. “Marc and Elizabeth are in divorce proceedings,” a source reportedly told People magazine. The divorce news follows Elizabeth Vargas’ announcement that she has returned to rehab. Elizabeth Vargas first revealed her decades-long battle with alcohol addiction back in November.